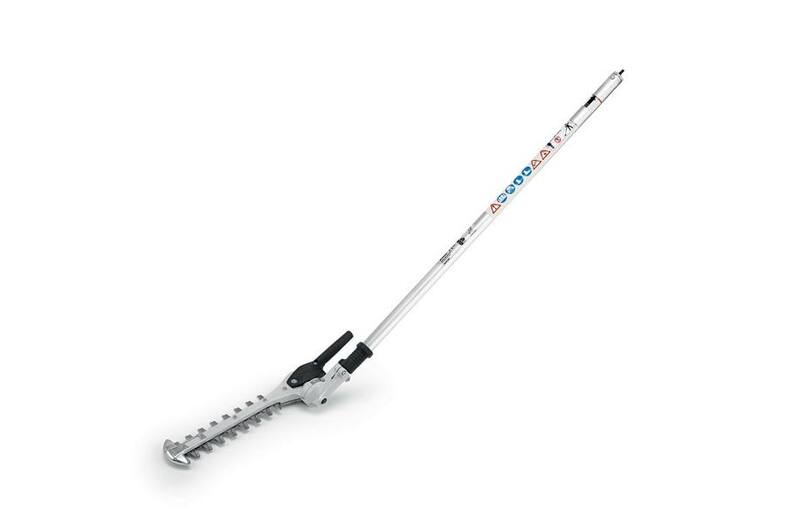 A KombiSystem adjustable power scythe attachment with excellent cutting performance and a 145° working range. The STIHL FH-KM (145°) adjustable power scythe attachment delivers improved comfort through a weight reduction of about half a pound compared to the previous model. Compatible with the STIHL KombiSystem, it features a 145° working range as well as a redesigned gearbox and blade assembly. These qualities contribute to the excellent cutting performance of the FH-KM (145°) with no change to the 10" blade length or blade geometry.